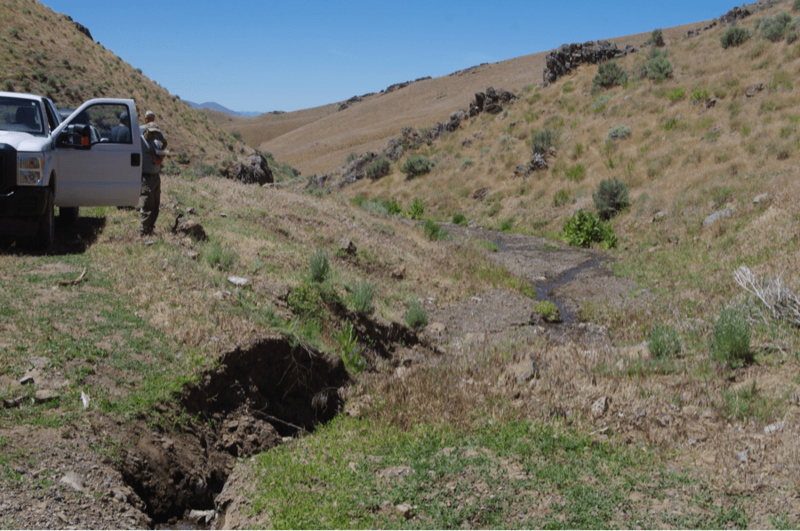 The Argenta allotment is home to drought denying public lands welfare ranchers who, while collecting two million dollars in drought disaster funds, bullied Battle Mountain BLM into caving into their desires. This was facilitated by then Nevada BLM Director John Ruhs through a group of agency cattle sycophant “experts” and well paid consultants comprising the National Riparian Services Team. See: https://www.counterpunch.org/2016/01/08/blm-leadership-coddles-hostile-and-law-breaking-nevada-ranchers/ . Ruhs has now been appointed under Zinke/Trump to a high position in Interior. The springs, seeps, very small streams and meadows/mesic areas of the Argenta allotment and surroundings are characterized by very limited water flows. Large segments of streams and areas of springs and springbrooks lose flows as summer progresses and/or during recurring drought periods. Climate change is expected to intensify severity of drought and weather fluctuations in the Great Basin. 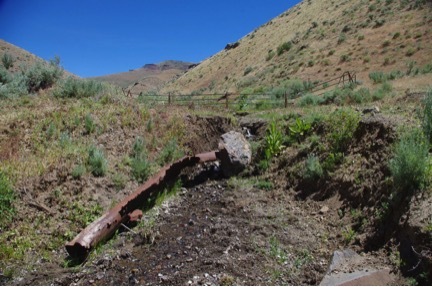 Despite having spent likely a million or more dollars on the livestock industry-biased “National Riparian Services Team” rigged processes, cow projects and numerous cattle industry consultants, BLM has ignored collecting and providing vital baseline data on the watersheds within a series of segmented fence projects are being located. 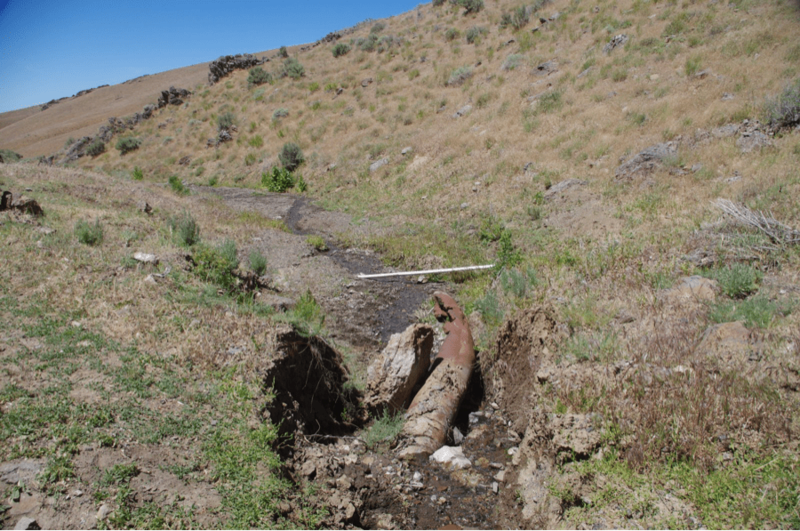 BLM treats the scattershot piecemeal projects as if they occur in isolation, with no consideration of their effects on sustainability of flows in the watershed and at other sites. The types of springs, seeps and streams are not even assessed so that the severity of climate or drought stress (including less precipitation falling as snow – which significantly effects replenishment of snow-dependent springs and small streams), is ignored. 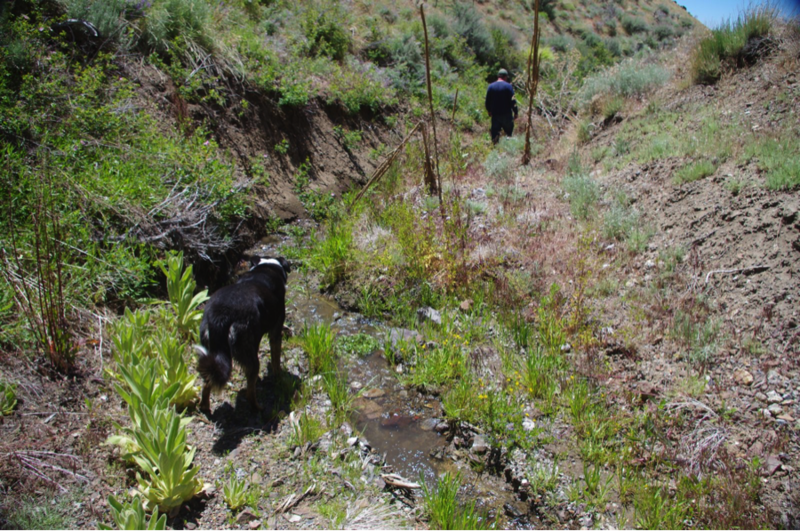 BLM typically fences off the most “prime” wetted segment in a drainage or grazing Unit, with the result being that very large herds of cattle will trail to, and converge even more on, remaining unfenced areas of the drainage or unit. BLM never takes any look at where the cows will get water once these fences are built, or when the next drought sets in. 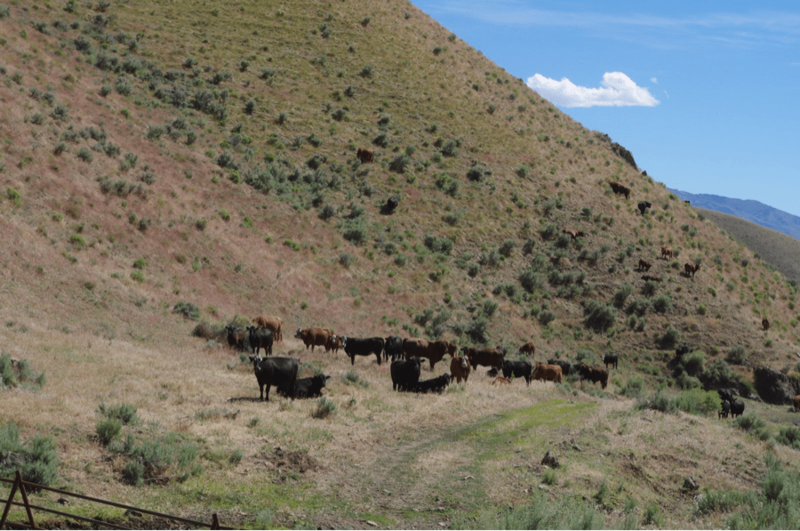 BLM never provides baseline flow and water availability and ecological condition data on the riparian areas where more intensive cattle use will be shifted and intensified. Many of these lack any riparian measurable use standard or protection of any kind. I stress that nearly all riparian areas in Argenta have no riparian standards applied to them, so the effects of intensified grazing caused by the projects will be undocumented and uncontrolled. Added to this is the fact that the series of NRST CMG projects are incrementally fencing off nearly all BLM longer term or MIM riparian monitoring sites, thus rigging the baseline. 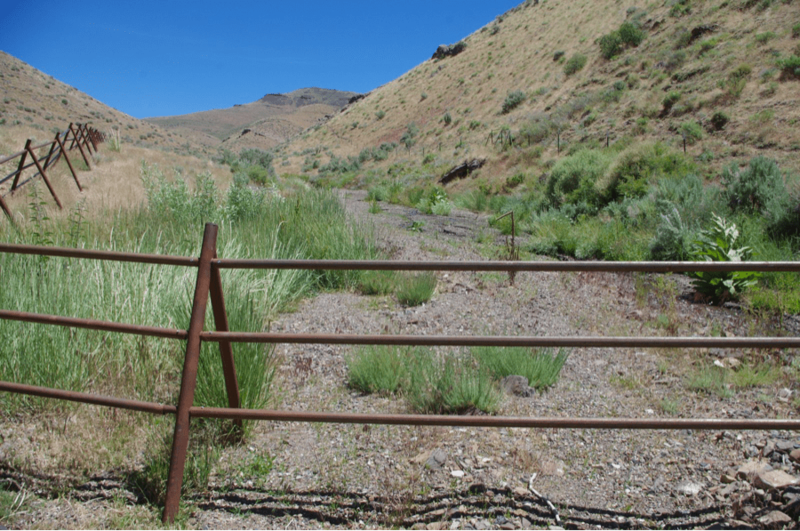 Band-aid fence projects like the BLM is imposing in Argenta cause expanded loss and damage to other vulnerable riparian areas. Plus the existence of a few fenced out areas causes a sense of complacency in the agency that they did “something”. Meanwhile, with each passing grazing season, and during summer thunderstorm runoff events or winter snowmelt, the areas left suffering intensive grazing impacts become more and more degraded, further erode and downcut, and become desiccated from erosion and intensive livestock trampling churning and hummocking soils causing site drying. 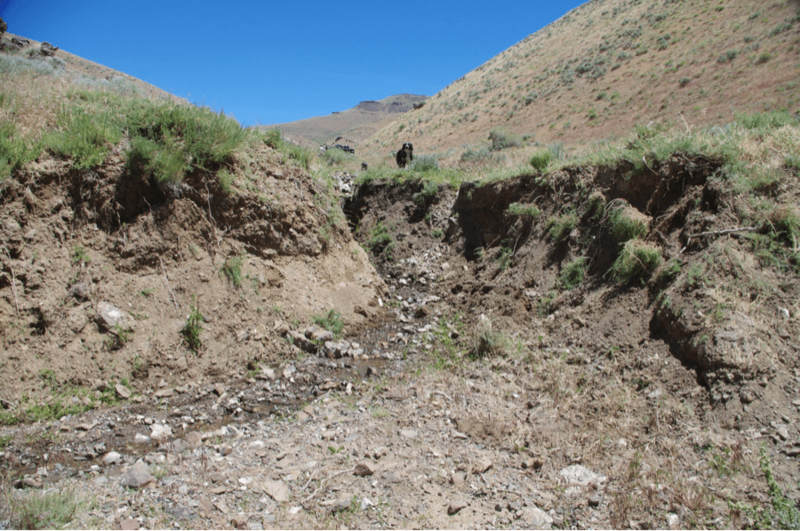 It is very common to see public lands permittees claim, after projects like these segmented Argenta projects are built, that they need to “develop” or have access to more water. This is referenced in Argenta cattle consultant Stockmanship memos/reports (Cotes), and is highly likely and foreseeable to happen in Argenta after fence projects are built. New development of the very scarce Argenta waters would pipe and extract water from the already tiny flow-starved springs and streams, further diminishing sustainability of flows in watersheds – and very likely inside the “exclosures” themselves. 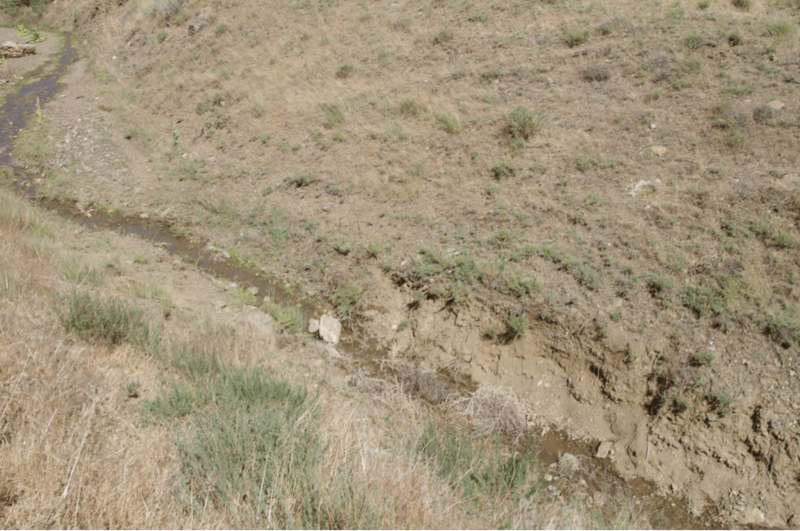 On top of the serious damage from livestock across these watersheds that is eating away at riparian and mesic habitats necessary to sustain sage-grouse broods and other wildlife, this would be an even greater loss. To make matters worse, the Decisions for these projects allow the fenced off areas to be periodically grazed, so they are not really exclosures, and it is highly likely periodic cattle damage will continue to be inflicted when ranchers claim the vegetation is “rank”, and/or through trespass. The Photos below were taken when WLD observed Argenta PFC monitoring for the upcoming assessment. The areas that were visited during this period illustrate the effects of fencing off areas, and providing no protections for adjacent unfenced areas of watershed, relegating the other riparian and mesic areas in the grazing Units as sacrifice areas, where the very large cattle herds graze and trample the sites into dry gullies. Cattle were present in nearly every Use Area encountered. These projects are in the Rat Fink watershed. BLM fenced off the lushest area of the stream with obvious spring flow on BLM lands. 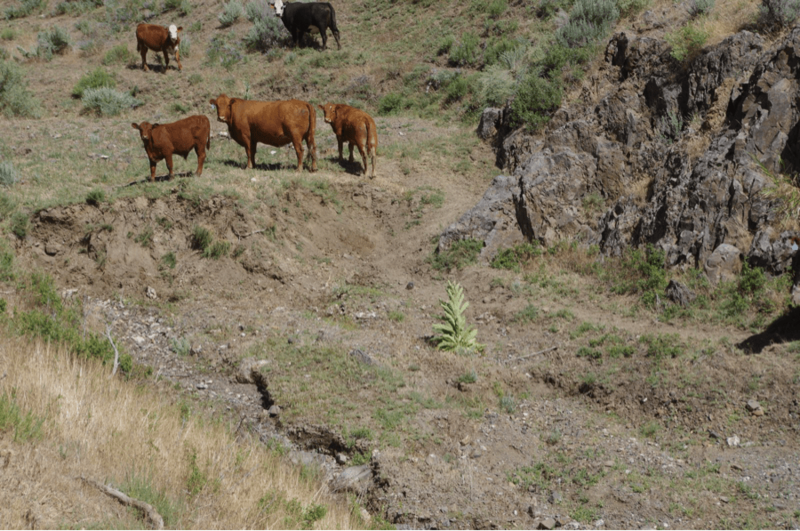 BLM has allowed full bore cattle grazing damage to be imposed outside the band-aid exclosure – dooming areas outside the exclosure to suffer severe new permanent loss. The entire area suffered a summer thunderstorm erosional event a year or 2 ago. The area has suffered a severe runoff event – both inside and outside the “exclosure”. Yet I observed hundreds of cows mostly all loafing down near the small flat of the dying drainage and riparian zone, during the site visit. The bottom line is that lands outside the exclosure are being treated as a livestock sacrifice area – grossly trampled, severely grazed, cattle causing breakdown of banks by large head-cutting areas, etc. The NRST CMG “Stockmanship Plans” of the Settlement are imposing extremely abusive grazing on a watershed that needs significant rest to heal. The Rat Fink situation epitomizes what is taking place with the Round 1 and Round 2 and other planned segmented Argenta cattle projects. Contrast between area inside exclosure and downstream new livestock sacrifice area. Note raw freshly cow-trampled banks, erosion, heavy grazing of vegetation necessary to start stabilizing banks. Compare this to inside the exclosure where ungrazed vegetation is visible. Cattle were present in the area during our visit. There was no signs of herding, although we were present for over 3 hours. It was the middle of the day, and as we drive in, and as I drove out, hundreds of cows were loafing by the battered stream. 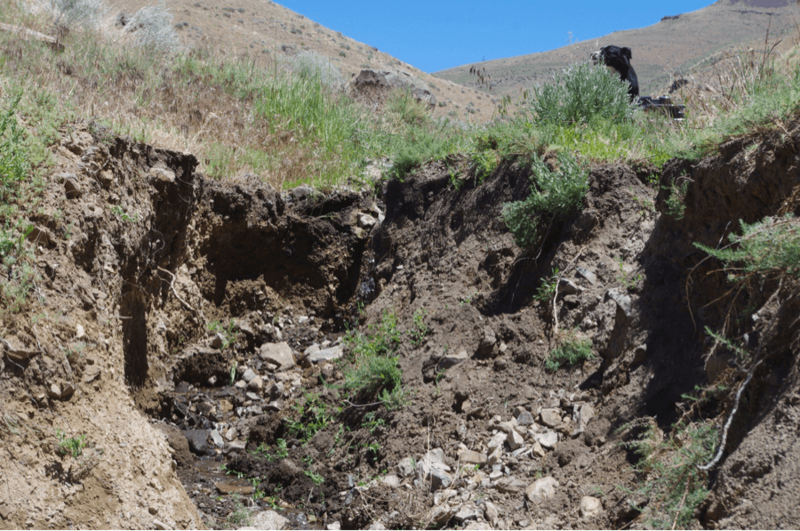 Outside the exclosure – BLM allows grazing to continue on this storm-runoff battered, grazing during drought degraded watershed that has never had any opportunity to heal. Even worse, BLM claims the area OUTSIDE the exclosure was not suitable for PFC, because it is “ephemeral”. So not even the very biased PFC monitoring will track this sacrifice area of the Rat Fink watershed’s continued downcutting and demise. 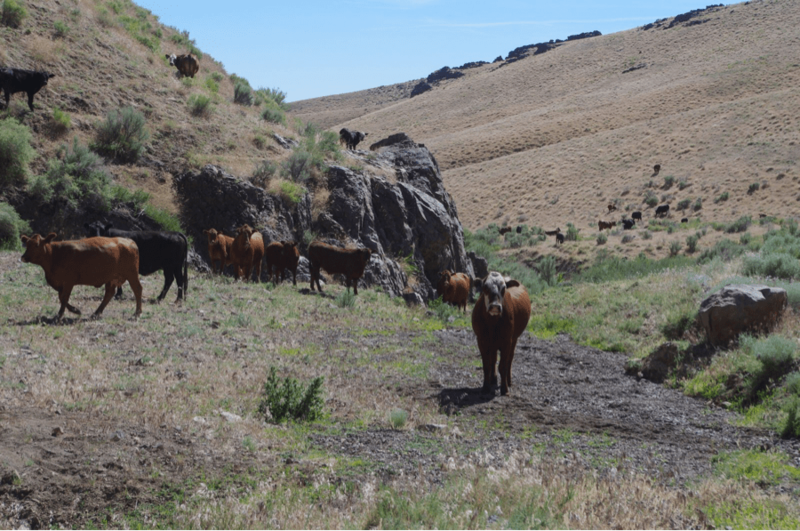 The watershed is dying, yet BLM has again in 2017 allowed many hundreds of cows to be turned out right on top of this severely degraded area that has received no rest. Further, temperatures were already very hot (temps. in the 90s), and grazing this time of year in Argenta is very much HOT SEASON grazing. Another area outside the exclosure. Serious headcut in sacrifice area of Rat Fink. 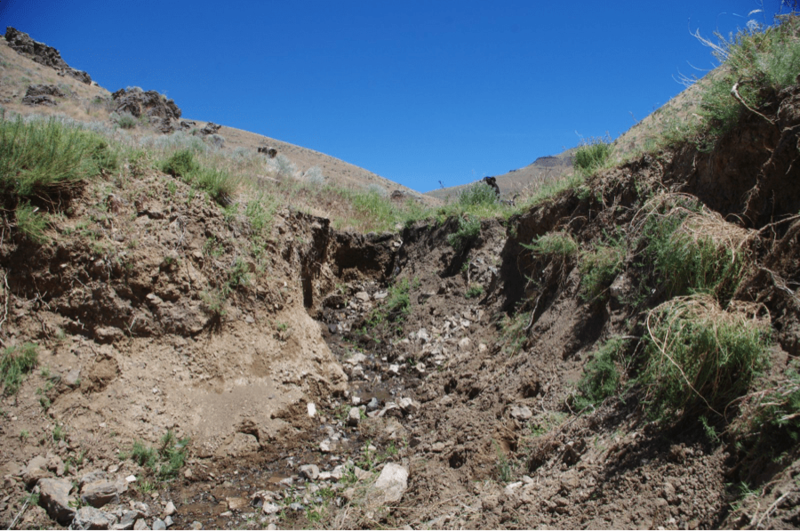 BLM is violating its own RMP, the FRH, and FLPMA’s requirements to prevent undue degradation by allowing grazing to continue and to be intensified as a result of the band-aid exclosure – in the Rat Fink watershed. Note size of headcut and black dog (border collie) above it for scale. In essence, the Round One exclosure is being used as an excuse to legitimize destruction of all unfenced areas of the watershed. Sacrificing these areas, of course, is highly detrimental to long-term sustainability of perennial flows anywhere in this system. Note cattle trampling de-stabilizing banks. This is wanton damage is the product of the SA, the NRST and its expensive cattle consultants and their “Stockmanship” schemes. NONE of this was analyzed in the shallow and self-serving EA. Cows loafing by headcut area further downstream where flows are now dried up. Note trampling de-stabilizing vegetation on banks of headcut. I am also including in this declaration some excerpts from important publications by Great Basin spring experts to illustrate the grave deficiencies in the EA’s analysis of the conditions of the watersheds, and the springs and springbrooks where the band-aid fence projects will shift and intensify cattle disturbance and degradation impacts even more. Nevada springs and springbrooks consist of different spring types. Although discharge rates, aquifer sources, and the presence of rare species (e.g., fishes, aquatic macroinvertebrates, rare plants, etc.) have been assessed at some springs, basic information describing physical and biological characteristics of arid land springs is very limited. This paucity of knowledge has often resulted in permitting activities that adversely affect spring aquatic and riparian biota (Shepard 1993). Management is challenged to respond to these issues because many uses and management activities have adversely affected biodiversity and resulted in status declines of rare species (Sada and Vinyard 2002). At this time, assessing the efficacy of management is often difficult because springs are unique systems, spring survey and monitoring methods are largely unknown, and spring resources are often unknown to most resource managers. Springs are relatively small aquatic and riparian systems that are maintained by groundwater flowing onto the land surface through natural processes (Meizner 1923, Hynes 1970). They are distinct from other aquatic systems because their water temperature is relatively constant (at least near their source), they depend on subterranean flow through aquifers, they provide the only water over vast areas and are therefore “biodiversity hotspots” (Myers and Resch 1999), and many support obligatory, spring-dwelling species (crenobiontic species) (Hynes 1970, Erman and Erman 1995, Myers and Resch 1999). Springs are supported by precipitation that seeps into the soil and accumulates in aquifers where it is stored. They occur where subterranean water reaches the earth’s surface through fault zones, rock cracks, or orifices that occur when water creates a passage by dissolving rock. Spring hydrology is influenced by characteristics of regional and local geology, and how water moves through an aquifer. The size of an aquifer depends on regional and local geology and climate, and water chemistry is strongly influenced by aquifer geology. Perched, local, and regional aquifers are the basic types of aquifers in the western U.S. Note the importance of springs in this environment (many of which will suffer worse and unmonitored cow impacts as a result of these piecemeal cow projects), and the reference to ground water pumping – which in Argenta includes mines in and surrounding the allotment, and irrigation withdrawals – with both threatening sustainability of surface flows. This is an example of the EA’s many unassessed cumulative stresses and threats on sustainable flows in Argenta. 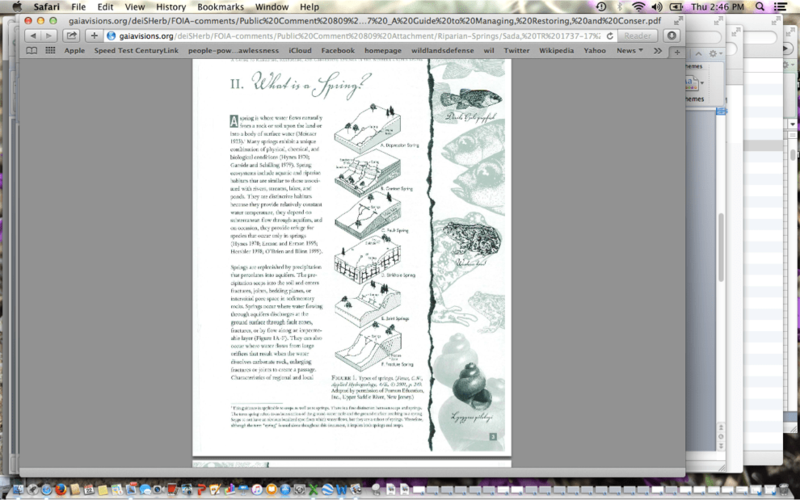 Further, Argenta is characterized, as these Sada spring analysis documents explain, by “Limited discharge, limited width, limited wetted length …”. This all combines to make the riparian sites even more vulnerable to damage from the SA Stockmanship schemes and intensified impacts caused by fence projects. Sada et al. (2005) and Fleishman et al. (in press) also qualitatively assessed stress levels in relation to functional characteristics of aquatic and riparian communities at springs. 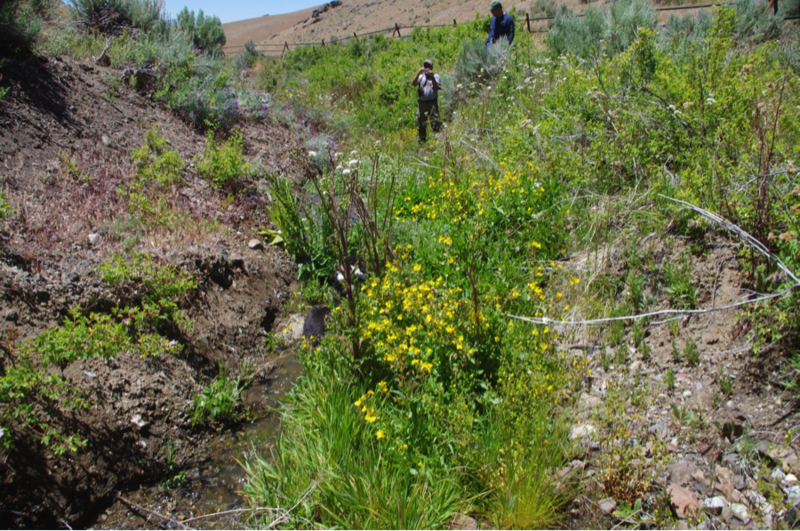 They observed biotic characteristics varying along a gradient of disturbance. As stress increased, the richness in aquatic and riparian communities declined, the abundance of tolerant macroinvertebrates increased. Obligatory and facultative wetland vegetation declined and was replaced by upland species. 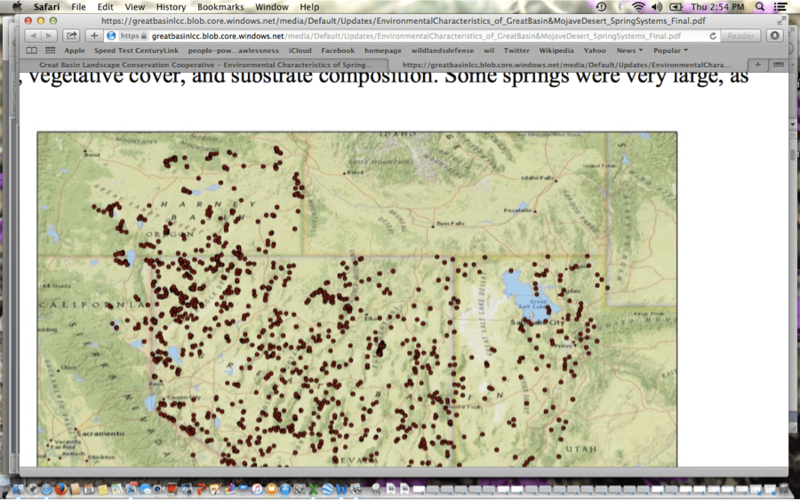 BLM does not even identify which springs in the Units or allotment are impacted by diversion or piping. This is an example of another tremendous lack in baseline information, and analysis of cumulative threats in impacted Argenta watersheds– the degree of existing developments and human disturbance at springs has not been assessed in the shallow Argenta EA. Even basic spring types, such as rheocrene, helocrene, limnocrene, are not identified in the shallow EA. Relatively few of the springs were disturbed by natural factors, and cattle use and diversions (mostly for cattle use) were the most common human factors influencing condition (Table 6). Human use was evident at approximately 83 percent of springs, and 65 percent of springs were either moderately or highly disturbed by human uses (Table 7). Most springs had been disturbed by more than one activity (Table 7). Approximately 57 percent of springs were affected by a single type of disturbance, and 34 percent, 8 percent were altered by two or three factors, respectively. Six moderately or highly disturbed springs had been altered by four or more factors. The highest frequency of disturbance was observed on BLM land (73 percent), followed by private land (69 percent) the miscellaneous lands (military, state, etc. ownerships). The lowest frequency of disturbance was on lands managed by the USFWS. 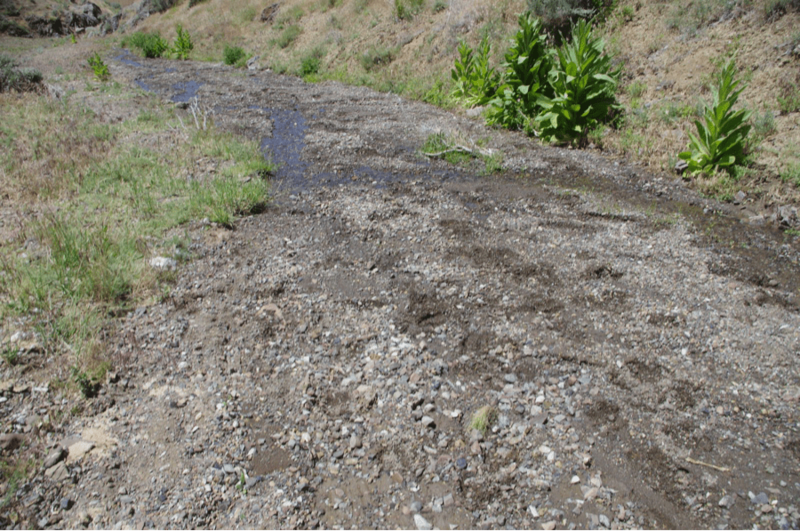 BLM ignored providing any of this important baseline information, necessary to understand the baseline of springs and seeps and their ecological condition and their vulnerability to Argenta Settlement-imposed Stockmanship grazing schemes and intensified damage and undue degradation from the combined effects of SA grazing, NRST rigging monitoring sites and monitoring data, and the serial batteries of Argenta cattle projects shifting and intensifying impacts. The cattle projects of the EA and others under the SA umbrella will cause new intensified undue degradation, just like is being allowed to take place in Rat Fink. Sadly, BLM does not even consider many of these areas worthy even of its arbitrary PFC assessments in the upcoming assessment process that is already being rigged by the facilities fencing out monitoring sites, severely flawed permittee-biased statistical analyses of monitoring by the NRST consultants. I also want to emphasize BLM’s efforts to build these fences during the heart of the sage-grouse nesting seasons this spring, which was beaten back only after rounds of briefing and an OHA decision. This shows that any EA measures claimed to be “mitigation” with these projects are likely to be cast aside by BLM under pressure from the NRST and permittees. I also incorporate all the issues raised in WLD’s 3-31-17 Response and other filings in the fence construction timing matter into this Declaration. The piecemeal imposition of band-aid fencing projects will only lead to expanded harms in Argenta, and a continued downward ecological spiral of undue degradation and permanent new loss of unprotected riparian areas, including under the brutal Stockmanship and other scehems being imposed. I note that EA pages 30, 31, 32 illustrate the fencing out of monitoring sites so “improvement” can be claimed. This took place with Round One projects, as well. Meanwhile, the rest of the watershed is left to die from cattle caused desertification processes. I swear under penalty of perjury that this information is true.